I don’t know about you, but yesterday’s temperature change felt pretty drastic to me! It’s nice to have a break from the heat of Texas summers, but it feels as if we had no fall and dove head first into winter! Am I the only one?! 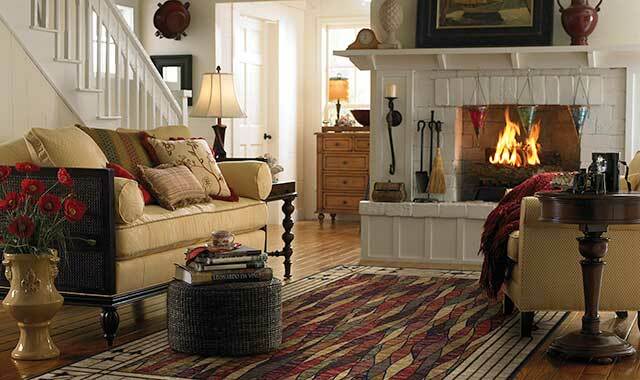 Don’t you want to warm up by THIS fire? My older daughter and her husband bought a new fire pit last night, which got me thinking about how to keep homes warm and cozy in the winter. Having an inviting home is especially important to sellers and appealing to buyers during the winter months, so check out these tips on keeping your home ready for winter from Zillow. Winter buyers are SERIOUS – they often want to close by the end of the year, which is great for selling quickly! Additionally, there is a lot less inventory during the winter months, which means homes on the market tend to sell at higher prices – another perk for sellers. If you’re interested in listing your home, give me a call today!